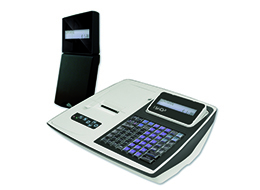 Style and elegance come together in the new generation of cash register: I-Shop. 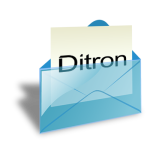 To realize the concept of the I-Shop, Ditron engineering and design team, constantly committed to the study of modern materials and cutting-edge technology, was oriented towards the creation of a modern and appealing product to satisfy the real needs of the Point of Sale. Going beyond the traditional limits of a compact cash register, usually with barely visible integrated display, I-Shop has, as standard, an innovative and eye-catching remote-turret display with backlit LED that can be positioned on the work surface, independent from the machine body. I-Shop introduces the capacitive touch technology, through the touch-sensitive backlit buttons. The advanced technology is not, however, an end in itself, but responds to intelligent function distinction. If the daily functionalities, normally used by the operator, are allocated on the traditional keyboard, comfortable, larger and more solid to the touch, capacitive keypad is oriented mainly to the use of a technical nature. The functions implemented in these buttons are in fact kind of programming. In addition, the keyboard is redesigned so that each key is directly associated to a letter of the alphabet. 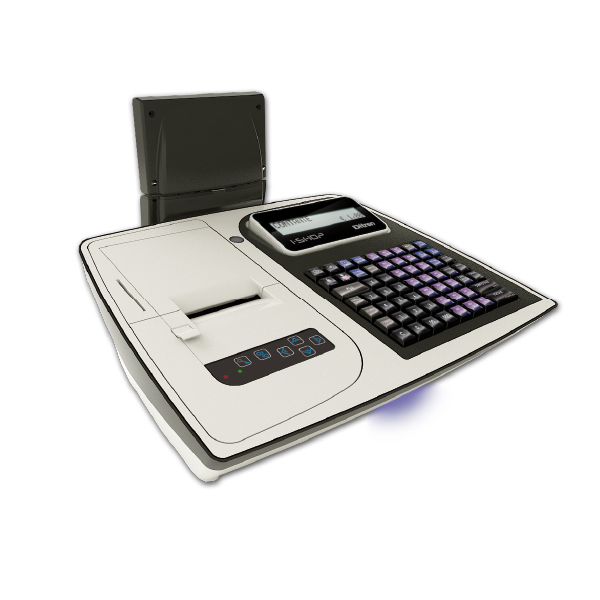 This way the need of having to store the corresponding codes is exceeded, greatly easing the steps of programming and setting of data, such as the tax code, when it is not possible to use a barcode reader device. The simple form of the ECR includes highly professional features that give high efficiency in daily work flow. I-Shop is characterized by high reliability, excellent performance and attention to low power consumption. 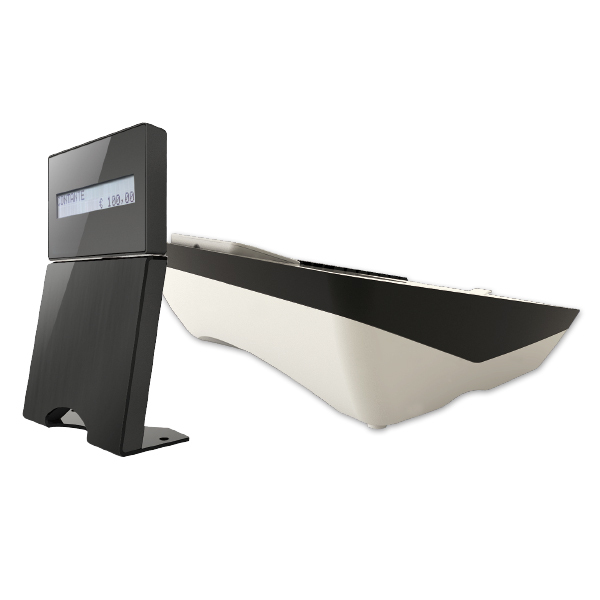 The printer with auto cutter-releasing agent, is currently among the fastest on the market. The cutter automatically calibrates itself, avoiding the manual adjustment of the operator in case of jamming. The print width and length of the roll provide the ECR with a comfortable use for the provision of services. Thanks to the use of the driver and the available ports, you can connect all the peripherals typical of the retail world. 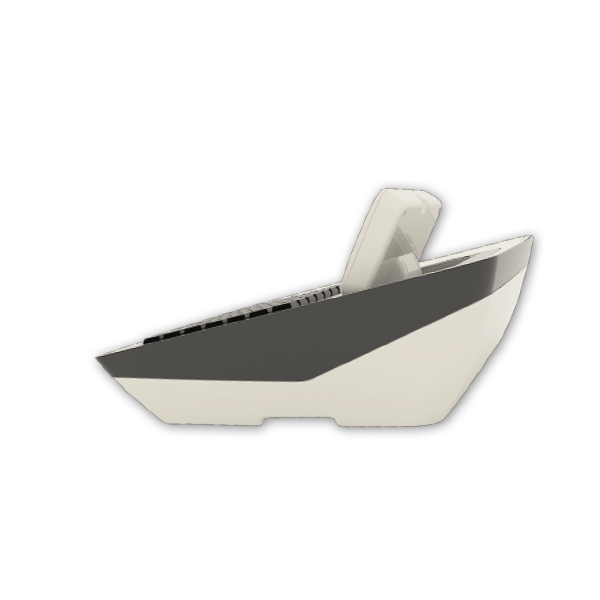 The Ethernet version can be requested as standard or made ​​with an optional adapter for peripheral ports. Compact, 60 keys. Programmable and customizable. Free software available for your product: WinGenGra - Logo Management / ECRSetup - programming, backup, and restore the ECR from PC. Native drivers: WinEcrCom (Windows) and XDitron (Linux). Standard Driver: POS for .net (UPOS), JavaPOS, OlePOS. Protocols: XOn / XOff Ditron, XOn / XOff Sarema, Wedge Sweda. Ethernet version: ECRemote for all Android mobile devices.